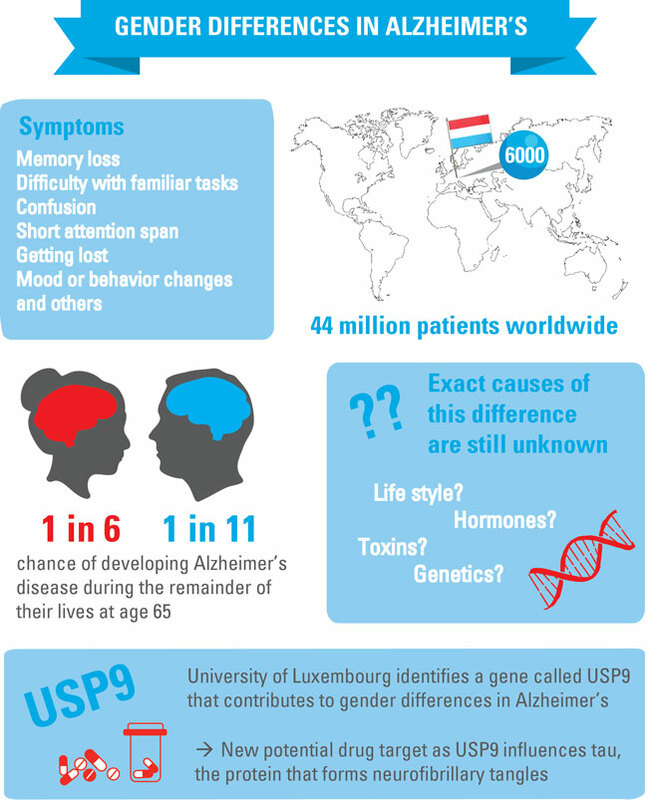 Scientists at the Luxembourg Centre for Systems Biomedicine (LCSB) of the University of Luxembourg have identified a gene that may provide a new starting point for developing treatments for Alzheimer’s disease. 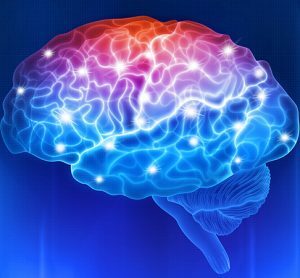 The likelihood of developing Alzheimer’s disease increases dramatically with age. The number of people affected is therefore rising along with our increasing life expectancy: An estimated 35 million people in the world have Alzheimer’s disease today. By 2030, this number could rise to about 65 million, and by 2050 to over 100 million. “The risk of developing Alzheimer’s disease at an advanced age is much higher in women than in men – even after adjusting for the longer average life expectancy of women,” says Dr Enrico Glaab, head of the research group Biomedical Data Science at LCSB. Glaab took this as a hint to start looking for molecular differences between the sexes that could contribute to the differences in frequency and characteristics of the disease. To do so, he and his team analysed thousands of data series on samples from the brains of around 650 deceased people of both sexes, some of whom had been afflicted with the disease and others who had not. 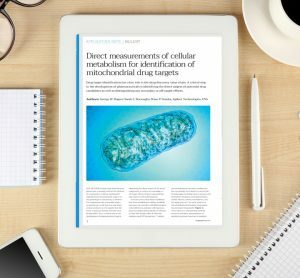 To gain a deeper understanding of the molecular signal chain connecting USP9 and MAPT, the researchers at LCSB developed a computer model that combines the measured data with known regulatory information from the literature. 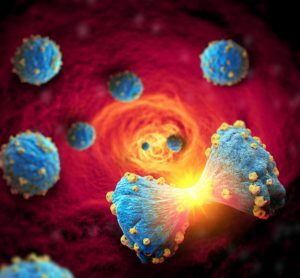 They discovered that proteins that had already been suggested as potential drug targets are also influenced by USP9. 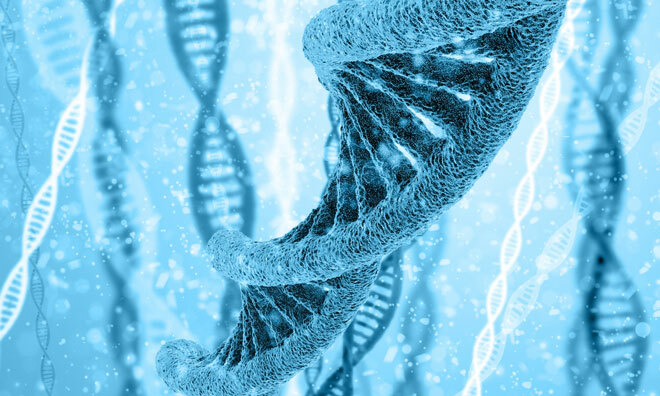 Through parallel alteration of multiple tau regulators, USP9 could therefore have a greater effect as a pharmaceutical target than previously proposed targets. The research project was funded with the prize money that Enrico Glaab won in 2013 in a worldwide data mining competition held by the US Geoffrey Beene Foundation, based in New York. Acknowledgment is made to the Geoffrey Been Alzheimer’s Initiative, 21st Century Brain Trust and to the BrightFocus Foundation and the Luxembourg Fondation Wivine for sponsorship of this work.